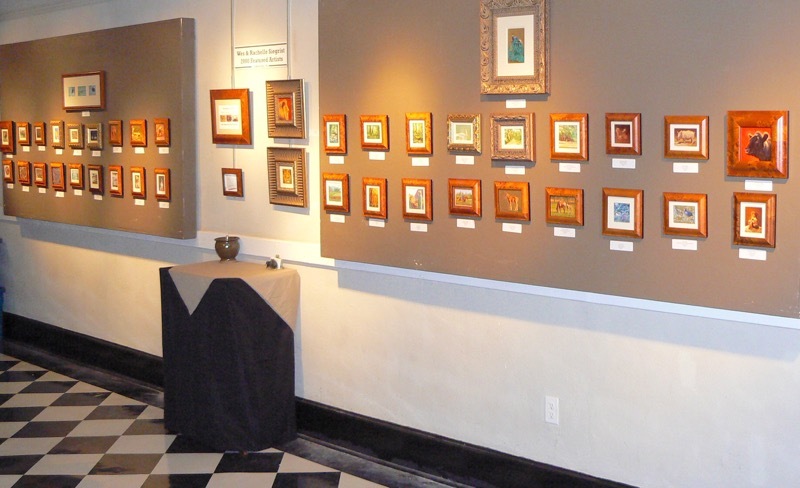 Come See Our Newest Miniature Paintings! Add To Your Collection! Or Start One! "Small Art with a Big Punch Walking around the Tidewater Gallery, one is struck by the size and scope of Wes and Rachelle Siegrist's work: it's tiny. The paintings can be as small as 1¼ inch in diameter. But what they lack in size is made up for in substance. The detail of a dog's solemn eyes, foliage on a fall tree, the color of a mountain scene is all there in all its glory. The Siegrists provide a magnifying glass just to prove it. One doesn't need a magnifying glass to appreciate the immense talent in Wes and Rachelle's paintings…"
Tiny Artwork Must Be Seen To Be Believed "Amazement, surprise and the question, "How?" 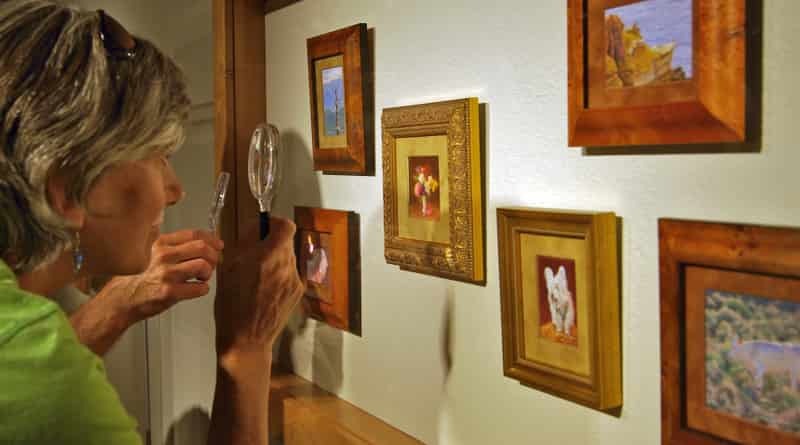 went through my mind somewhat simultaneously as I looked through a magnifying glass at the paintings of Wes and Rachelle Siegrist, now on view at the Museum of the Southwest. I suspect I'm not alone. The exhibition includes portraits, landscapes, wildlife and still lifes. The paintings are not small. Small is too big. They are tiny. Pick up a ruler and see what 3.5x3.5 looks like in size. Then imagine there is a detailed painting within its borders. Tiny. The paintings typically measure less than nine square inches and appear even more detailed when viewed under magnification. 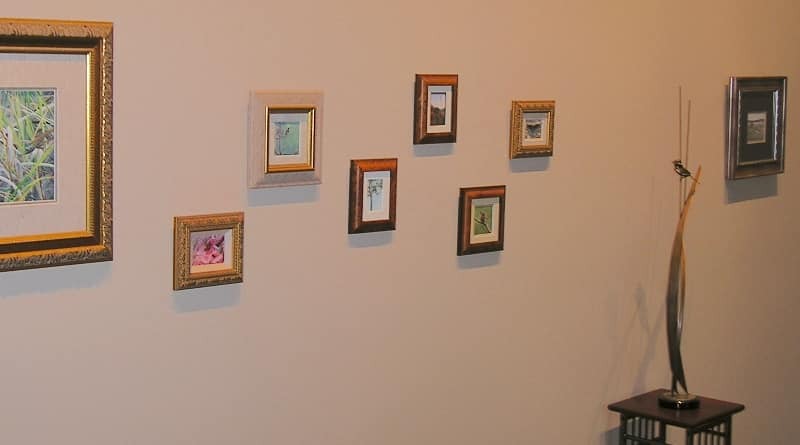 The miniature paintings are by Wes and Rachelle Siegrist. …"
For a complete listing of Siegrist exhibitions from 1987 to date please see our biography. We are very pleased to be working with Dr. David J. Wagner as our Curator and Tour Director for a variety of both solo and group museum exhibitions. Please visit Dr. Wagner's website for additional information on his exhibitions and book, American Wildlife Art.